Diabetes is a disease affecting over 30 million people in the US, or about 10% of the population, according to the National Institute of Diabetes and Digestive and Kidney Disease. Impacts of the condition can spread through the systems in the body, and lead to a number of complications, including heart, kidney and dental diseases, stroke, eye and foot problems, and even nerve damage. What is diabetes, and how do conditions like diabetic neuropathy affect the feet and skin? 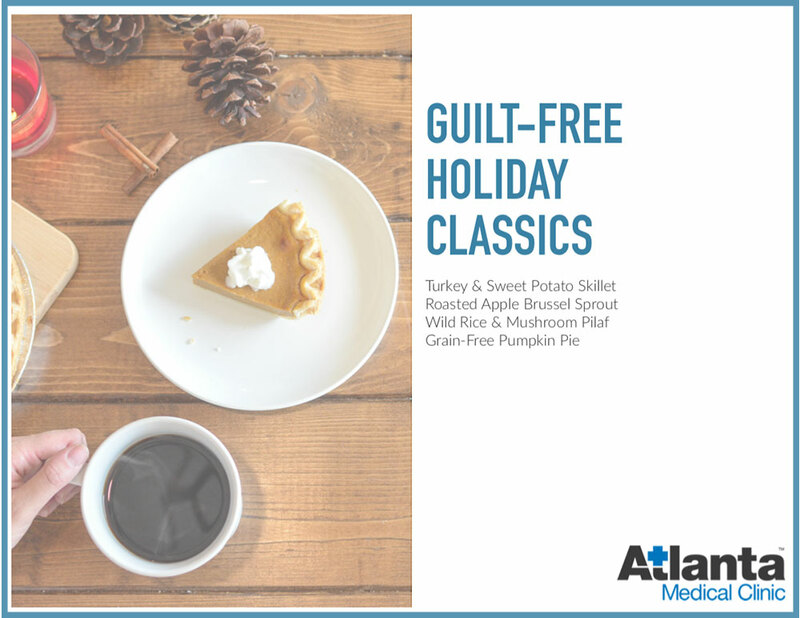 Happy Holidays From Atlanta Medical Clinic! Wishing you a very happy holiday season and a wonderful New Year! Most of us end our year with promising weight loss resolutions and expectations of making better choices and habits, but so often we fall short. Why is that? Well, we enter the new year, weighed down by the turkey and extra helping of cookies, rationalizing our over-indulgence with the promise that we’d drop those pounds come January 1st. A lot of us fizzle out by the time February rolls around, and we’re left with the weight (literally) of guilt. Allergies are an overreaction of our immune systems to substances that generally don’t affect other individuals in the same way. These substances, or allergens, can cause runny or stuffy noses, sneezing, coughing, itching and more, and reactions can range from bothersome to life-threatening. According to the CDC, more than 50 million Americans suffer from allergies every year, and it is the 6th leading cause of chronic illness in the US. When is it a good idea for you to get allergy testing, and how is it done? According to the CDC, 78.6 million Americans, or over one third of our population, are struggling with obesity. With a plethora of diet plans, a myriad of fitness fads, and exercise machines designed to combat the bulge, how is it that so many people find it so difficult to burn fat or build muscle? While many factors contribute to your ability to rev up your metabolism and drop weight, it turns out that something as simple as the timing of your meals could be making or breaking your weight loss goals.